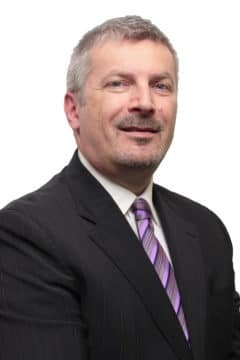 Arthur Klein is M&A advisor with Pacific M&A and Business Brokers Ltd.
As a trusted intermediary, Arthur is committed to assist buyers and sellers of privately held enterprises in the process to value and transact the sale of these ventures. Drawing upon his experience and education, Arthur takes an objective and systematic approach from estimating the fair market value of the business, comprehensive marketing, facilitation and negotiation across both parties, manage due diligence and assist in the consummation of business sale. And by partnering with his clients he is very diligent and resourceful in qualifying and supporting goal-oriented outcomes for each file. Arthur’s career path includes substantive background with brand-leading service-focused organizations, as well as that of an independent business consultant — where he contributed to and gained deep understanding of the myriad of market and business challenges and opportunities present. He is also a regular contributor to Business in Vancouver and Western Investor, a roster consultant at Small Business BC, and is a mentor partner at Forum for Women Entrepreneurs. And outside of work, he is a proud father of two older teens and embraces many of the outdoor activities that BC has to offer. His career has also benefited from progressive education and training including: BSc (Agr) from the University of Guelph, a Diploma in Marketing and Sales Management, from UBC, Sauder School of Business. He also holds a BC Real Estate Commercial Trading Services license, and is an accredited Certified Business Intermediary (CBI) as administered by the International Business Brokers Association (IBBA).